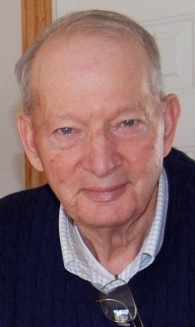 Rayfield “Ray” A. Wellman, 84, of Traer died March 18, 2019 at Sunrise Hill Care Center from complications of Parkinson’s Disease. He was born August 29, 1934 at the family home in rural La Porte City (Jubilee) to Arthur and Elsie (Harting) Wellman. He attended school in Jubilee and graduated from La Porte City High School in 1952. Ray enlisted in the U.S. Navy and proudly served his country for two years before being honorably discharged. He married the love of his life (Ruth) Jean Alcorn on January 22, 1958 at the United Presbyterian Church in Traer. The couple welcomed three children into their lives. Ray farmed for many years with Wellman Farms, Inc. with his father and brother in the Brandon/La Porte area. He finished his career at Traer Manufacturing, retiring in 2000. He is survived by; daughters Kathleen Geater (Kay) of Columbia, TN and Suzanne (Gene) Alberts of Onalaska, WI; grandchildren Matt (Tiffany) Geater, Jody (Perry) Kyles, Greg (Jamie) Geater, and Nathan Alberts; 8 great-grandchildren; brother-in-law Howard Alcorn of Traer; sister-in-law Marlys (Max) Dietze of Georgetown, TX and numerous nieces, nephews, cousins, and good friends. He is predeceased in death by his wife just three months ago, his parents, his son, James Wellman, and his brother Curt. The funeral service will be held on Saturday, March 23, 2019 at 10:30 AM at Zion Lutheran Church: 800 South Main Street, Dysart, Iowa, 52224 with burial following at Buckingham Cemetery with full military funeral honors. A visitation will be on Friday, March 22, 2019 from 4:00 – 7:00 PM at Overton Funeral Home- Traer: 714 First Street, Traer, Iowa, 50675. In lieu of flowers, memorials may be directed to Zion Lutheran Church, Dysart, Cedar Valley Hospice, or the Traer Lions Club. Ray enjoyed playing golf, model railroads, watching sports on T.V., and traveling. He especially enjoyed his trip to Australia/New Zealand and numerous trips to Ireland. He was very personable and enjoyed morning coffee with his friends, dancing, playing cards, and being active in organizations including the Traer American Legion, Traer Lions Club, and serving as President of Zion Lutheran Church and the Traer Golf and Country Club.